Solite Innovations LLC was created by life-long cold-water surfers Jamie Meiselman and Tyler Callaway. Both spent their formative surfing years in the Northeast US, where thick wetsuit boots and gloves are a necessity for most of the year. Meiselman spent much of his career in the snowboarding industry, running the boot division for Burton Snowboards and several other market-leading snowboard brands. Callaway has been in the surf biz for decades, most notably establishing and running FCS Fins/Accessories in the Americas. Solite is a bi-coastal company, with Callaway based in California, and Meiselman in New Jersey. 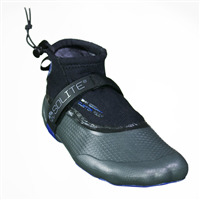 Solite wetsuit boots are the result of over 5 years of research, development, and testing in the harshest cold water and tropical lineups around the world. From mid-winter Maine to low-tide G-Land, they’ve been fortunate to utilize some of the world's best surfers to test and refine their boots, and are thrilled to unleash their technology to the masses.